The heat dissipated by the discharge tends to keep the band dry and also contribute to the overall drying process already in progress. This leads to possible ignition of discharges. Most of the discharges across the dry bands get extinguished. Occasionally some of the discharges can develop into complete flashover, bridging all the dry bands. Repeatedly occurring of flashover causes ageing of insulator due to deterioration of the surface glaze, resulting into erosion of the surface. This leads to the gradation of volume characteristics which finally culminates in puncturing of insulators. 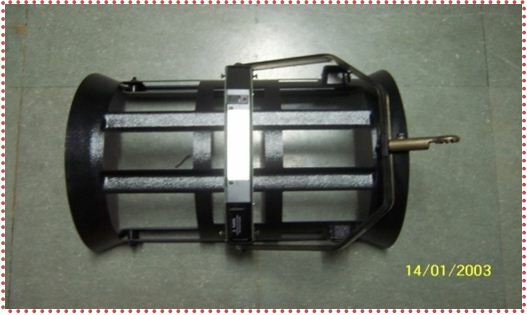 We employ two types of methods for Punctured Insulator Detection. A) By Electric Field Measurement Method. 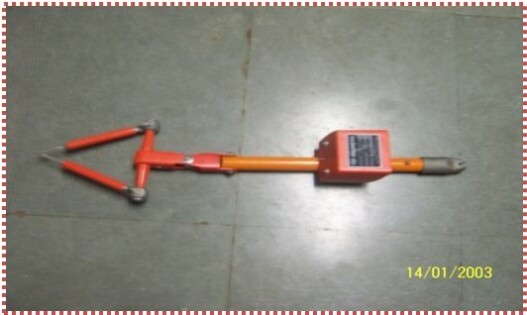 This equipment named as POSITRON is used for detecting leakage in the defective insulator in the string. This equipment is attached to a hot stick & it is moved across each insulator in the insulator string & it records the electrical field surrounding the insulators. The electrical field surrounding an insulator decreases considerably in front of a defective insulator. The downloaded data gives us a graphical presentation of the field against each insulator of the complete string, enabling us to identify the defective insulator. The software data analysis eliminates the need for operator interpretation. B) By Voltage Measurement Method.